To understand the beginning and growth of Freemasonry in East Africa it is helpful to look at the history of the three East African countries. Until the latter part of the 19th Century the mainland territories of East Africa were virtually unknown to the outside world. On the other hand, for several centuries before that, Zanzibar was well known as a trading station and was visited by dhows from Oman and ships plying between Europe and India and beyond. It was also the centre for the slave trade from Eastern Africa. Zanzibar was a possession of the Sultans of Oman from the 17th Century and they also laid claim to a mile long, 10 mile wide strip of the Kenya mainland coast from Kipini on the mouth of the Tana River to the Umba River in the South. The western world recognised the importance of Zanzibar as a trading post from the early 19th Century. The United States established a Consulate there in 1837, Britain in 1841 and France, Portugal, Italy, Belgium and Germany followed soon thereafter. In the second half of the 19th Century successive British Consuls wielded considerable influence on the Sultans and ultimately it became a British Protectorate in 1890. It was thereafter ruled by the Sultan but the Government was administered by a British Administration under a Resident. Sultan Seyyid Hamoud-bin-Mohammed-bin-Said, in the mid 19th Century encouraged Indian traders to establish themselves in Zanzibar and to a large extent the development of the economy of the island was due to their efforts. Copra, ivory and spices-not to mention slaves-were exported while imports included cloth, metal-ware and beads. 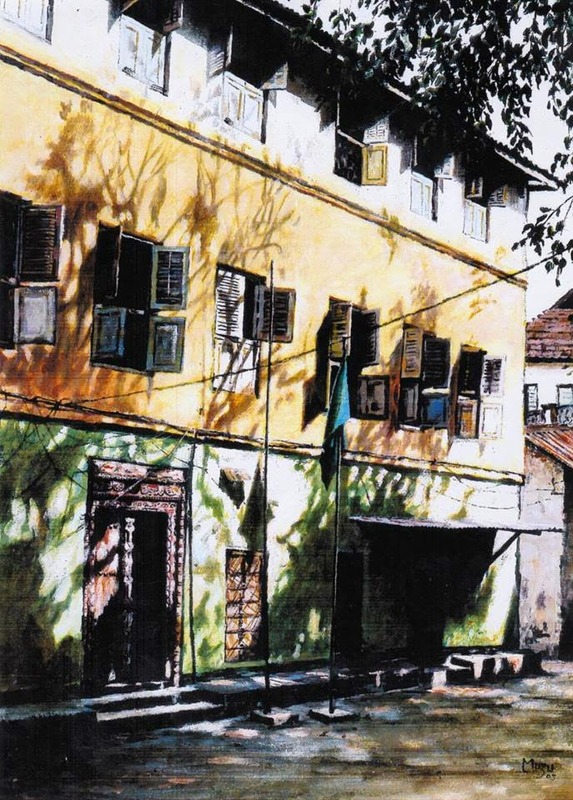 It was throughout the 19th Century the chief emporium for trade on the African East Coast. By the end of the 19th Century there was a fairly large number of British subjects based on the island and it is thus no accident that the first Freemasons' Lodge in East Africa should be established there in 1904. On the mainland in 1887, with the active endorsement of the British Foreign Office, Sir William McKinnon founded the British East Africa Association, which later became the Imperial British East Africa (IBEA) Company to administer the Sultan of Zanzibar's mainland domains. IBEA soon established trading centres throughout Kenya as far as Lake Victoria. 15 Responses to "The First Freemasons lodge in East Africa"